Seclusion Hill, adjacent to Meherazad, is where Baba stayed in 1947 for His special work. Ali Shah, the mast, stayed nearby in another hut where Baba visited him several mornings during that time. 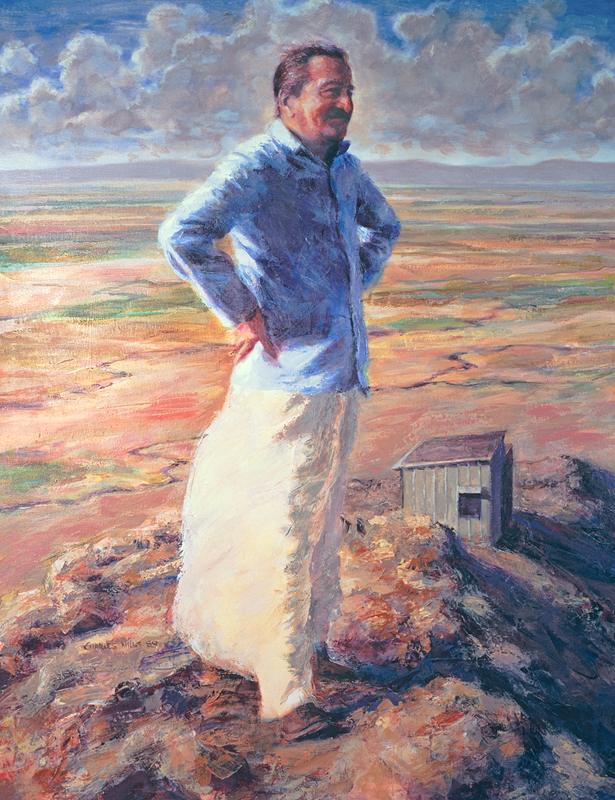 Since 1979 Charlie Mills has made over 250 paintings of Meher Baba and His Mandali. High quality archival prints are now available at reasonable prices. These are printed on heavy duty non-acid semi-gloss paper with long lasting pigment inks and are shipped free to anywhere in the continental US. Height sizes are approximate according to the painting's proportions. ☛Please include: Your name, mailing address, Email and phone. ☛ When ordering this print please reference: 1989-26 Seclusion Hill and the print size you would like. Charlie will contact you via Email or phone when he receives your order. ©2019 Charlie Mills. All rights reserved.